Our teenage son lobbied to choose our family’s vacation for this year’s spring break. He had two proposals: go on a cruise or visit the Caribbean. Since my husband and I loved our Alaskan cruise and we had always wanted to visit the Caribbean, our teen didn’t have to do too much convincing. 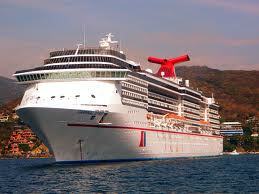 Much to our son’s delight, we booked an Eastern Caribbean cruise with Carnival Cruise Lines for our family holiday. Here’s what to expect when you embark on a Carnival Cruise with teens. Carnival Cruise has a reputation for fun and free-spirited adventures. Our ship departed Miami packed with families, college students and young people. It was a ‘carnival-like’ atmosphere, celebrating the Caribbean sun and spring break. It’s a popular cruise line with families, young adults, and the young at heart. They have FunPoints to collect, FunShops on board, and offer a Great Vacation Guarantee. Carnival is that sure you’ll have fun and enjoy your cruise holiday, and they really want you to come back again. Our teenager was able to cut loose, relax, and socialize with the many other teens on board. As with other age groups, Carnival offers an activity club for teenagers – Club O2 – on all of their ships. For the 15-17 year old set, Club O2 is a teen-only hang out space; no adults allowed. It’s a great place for kids to break the ice and meet each other, without any parental pressure or interference. Parents have to sign a consent form to allow their teens to come and go as they please, but once they’re in the Club, you may not see them for several hours, or until the next morning. There is a daily itinerary for Club O2, ranging from Karaoke and dance and trivia-themed parties to island excursions. Kids can join in as they wish; the structure is loose and just hanging out is encouraged. The Club was a hit with our teen, who met some great new friends with whom he spent time exploring the ship when they weren’t doing specific activities. For the younger teen set (ages 12-14), there is the Circle C club. The C stands for ‘chill’ or ‘cool’ and the club includes activities such as dance and pizza parties, games, outdoor movies, and scavenger hunts. The Circle C is supervised by fun-loving counselors who want to ensure that the kids have an awesome time. 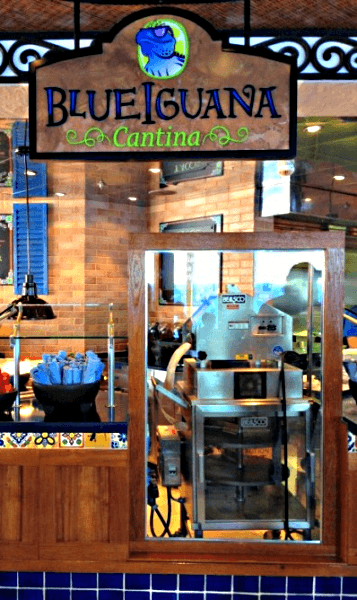 Teens will find plenty of totes tasty dining choices on board a Carnival ship. Our ship, the Carnival Liberty, boasted Guy’s Burger Joint (fabulous fries), the Blue Iguana Cantina (delish fish tacos), a 24-hour pizzeria (with surprisingly tasty pies), self-serve ice cream, a late-night deli, Cherry on Top candy store, daily buffets at breakfast and lunch, and several dining rooms for more formal or anytime dining. Our casually formal dinner time offered the chance to connect with our teen over a family meal together before he headed out for a night of fun and adventure. Many Carnival ships have a wide variety of teen-friendly activities to pump up the fun. 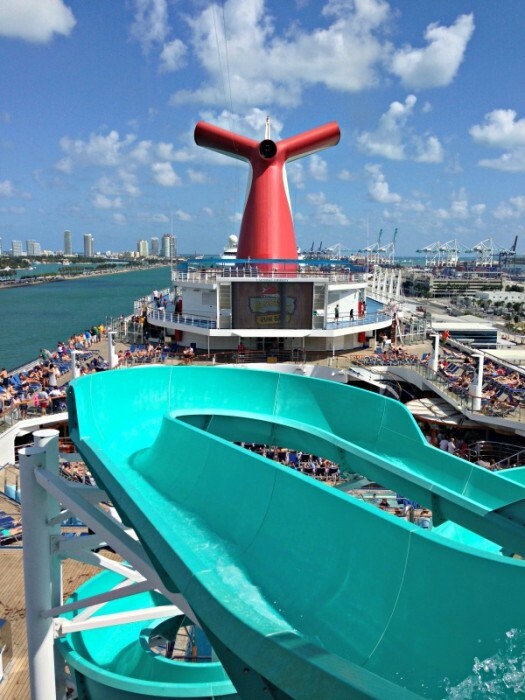 Our ship offered a water slide, while other ships have a more extensive Carnival Waterworks, such as the Speedway Splash on the Carnival Sunshine. There Seaside Theatre is where to go to watch cartoons, classic TV shows plus comedies and action movies—complete with free popcorn and blankets. Or watch movies from the pool or one of two hot tubs in the middle of the ship! The Punchliner Comedy Club offers a rotating roster of comics that perform several shows nightly, including at least one ‘family-friendly’ show in the early evening that teens would definitely enjoy. The big stage shows by on-board entertainers and special performers may also be a teen draw. Ours wasn’t keen on the musicals as much as he was spellbound by the hypnotist, who showed off his skills at getting people to do anything and everything. Traveling with teens presents challenges that are very different from when you traveled with little ones to grandma’s house. They like to eat a lot more (cha-ching), sleep in, share strong opinions, and can be…shall we say…surly and not the most talkative traveling companions. All-included food aboard a cruise ship presents a definite budget bonus to parents of teens. If you and your spouse and younger children want to sit by the pool or hit the breakfast buffet, you can sneak out of the stateroom without having to wake a cranky teen. The ability to split up and pursue varying activities and come together over a family meal in the evenings may prove a good way to keep the eye-rolling to a minimum too. Teens are able to explore a contained environment while cruising. Our teen really enjoyed that sense of freedom, even to just eat pizza at midnight while trading jokes with friends (and keeping an eye out for young ladies too, I’m sure). Traveling with happy teenagers is much preferred to the alternative; it’s worth the time and effort to work with them and plan out a holiday that will meet their needs, as much as your own. Who knows? Away from the pressures of school and work, a relaxed cruise vacation just might draw you and your teen closer together! 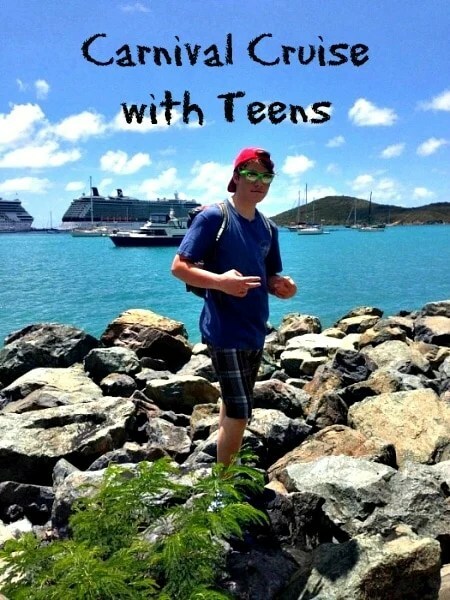 Have you ever taken a cruise with teens? What did they enjoy the most? Share your comments below! 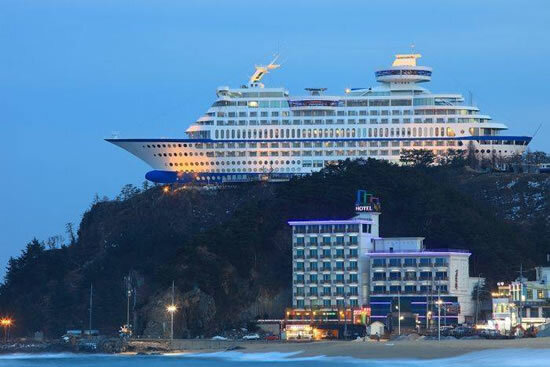 It’s not A Ship It’s A Hotel: Sun Cruise in Jungdongjin, Korea . 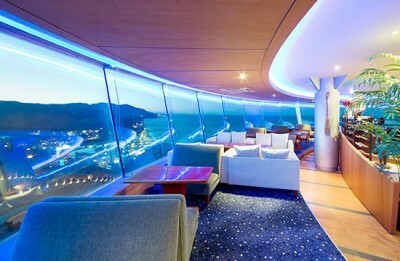 the sunrise in Korea, Sun Cruise Resort & Yacht is the world’s first on-land cruise themed resort. cruise ship on land. It is 165 meters in length, 45 meters in height, and 30,000 tons in weight. rooms for seminars and workshops. 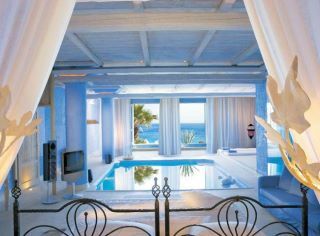 guests will enjoy a refreshing retreat and take back wonderful memories. 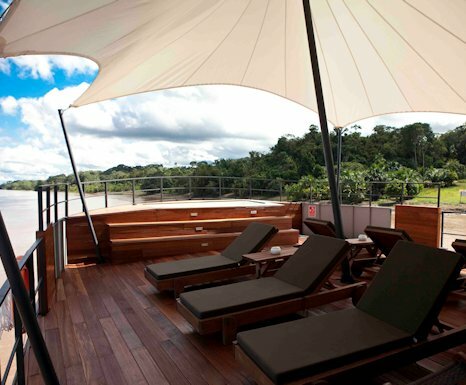 Take an Amazing Amazon Cruise in Style and Luxury..
For those travelers who are becoming increasingly bored with the seemingly endless cruising holidays available today, there is a truly unique alternative… a luxury Amazon river cruise. 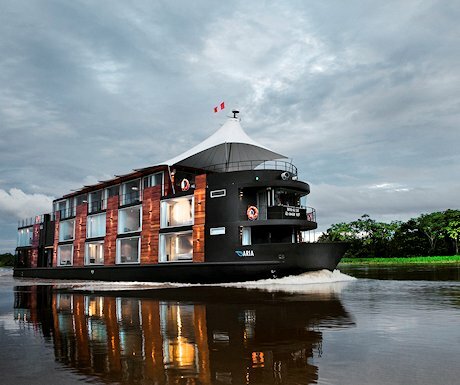 Embark on the voyage of a lifetime, sailing the earth’s mightiest river and the world’s last unexplored wilderness – the Amazon. The very first luxury vessel in the region, the Aqua Amazon caters to the most discriminating and adventurous of world travelers, providing an unforgettable journey into areas penetrated by only a privileged few. The Aqua affords the opportunity to truly “get away from it all” and explore the unexplored; without abandoning the comforts, security, and five-star luxuries which are now expected. As your ship docks along the river, knowledgeable and experienced naturalists will take you into remote estuaries in the Peruvian rain forest and the Pacaya Samiria Reserve. As you explore these pristine wilderness areas teaming with wildlife, you will encounter local people living in villages as they have for centuries. And when the day’s sightseeing is over, the comforts of your luxury floating hotel will await you. Immerse yourself in the remarkable scenes and sounds of the rainforest, its people, cultures and exotic wildlife. 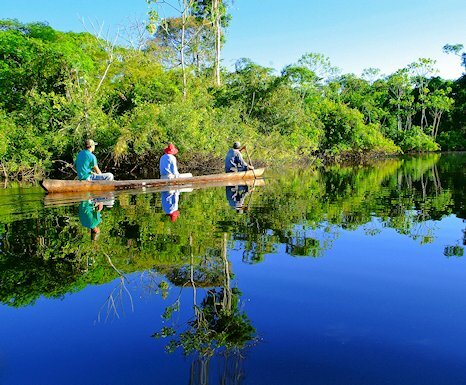 The largest tropical rainforest on earth, the Amazon encompasses 4 million sq miles throughout South America, and an Amazon River cruise gives you a unique insight into this great wilderness. 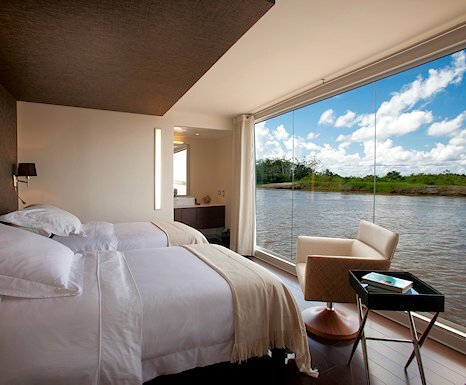 Every single traveler has fantasized about trekking through the Amazon rainforest or waking up to the call of a thousand birds – this is the chance to indulge that fantasy! A seven night Amazon River luxury cruise on the Aqua begins in the remote colonial city of Iquitos (Peru) and transports guests in exceptional comfort deep into the Amazon rainforest, along the Ucayali River, the Amazon’s largest tributary, as well as other neighboring rivers (the Yarapa and Dorado), each one rich in vibrant wildlife and thriving rainforests. Perhaps go fishing for the many species of Amazon fish, or explore into the dense jungle on foot in search of three-toed sloths, toucans, macaws then come back to the comfort of our skiffs to meet taricaya turtles in their natural habitat and hunt for endangered pink dolphins, unique to the Amazon. Custom built specifically for Amazon cruising, the 40m Aqua river boat comfortably accommodates up to 24 guests in 12 exterior suites measuring 240 sq ft, and all with large panoramic windows. All suites are fully air-conditioned, superbly finished in natural materials and have en suite private lounging and stone bathrooms. All are available as twins or king sizes double. Whilst every day on this luxury cruise is packed with excursions, you can instead opt to spend the day lounging on the sun deck, seeing all the sights without even stepping ashore. This outdoor lounge features ample sun chairs and a deck Jacuzzi to cool off. In the evening, retire indoors to the spacious luxury living room finished with wood flooring and soft lighting…relax with a glass of wine in comfort amongst the plethora of plump couches, and watch the captivating landscape pass you by through panoramic floor to ceiling windows. All meals, bar, excursions, park fees, and transfers are included in a standard package. Spacious and indulgent, yet intimate enough to feel entirely exclusive, the Aqua incorporates generous living space with the ability to truly explore the unexplored regions of the River Amazon. Coastal Freedom at it’s BEST!! The Most Unique Cruise Ship Features! Back in the golden day of cruising, travelers could barely believe their eyes when they stepped aboard a luxury cruise liner and found fully equipped gymnasiums, relaxing Turkish baths, and even well stocked libraries and outdoor, European-style cafes. Of course, all of these features, and indeed much, much more, are pretty standard across the board now, with most of us expecting high-end restaurants, shopping malls and casinos at the very least when taking a cruise. With the bar being well and truly raised, cruise companies around the world are seeking out new features that will make their ships stand out over all others and what the industry is starting to see on the newer ships, and on those that have been recently renovated, is a level of excitement and a level of utter luxury that has simply never before been seen at sea. 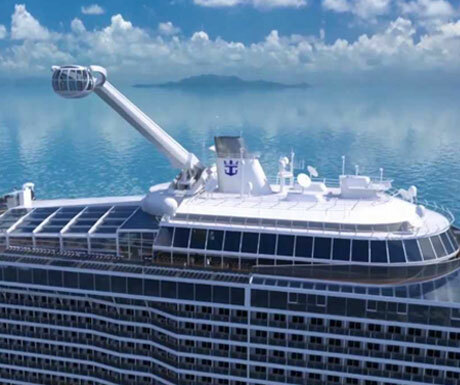 The North Star, which features aboard Royal Caribbean’s newest vessel scheduled to set sail in 2014, is the first of its kind in the world. Suspended by a rotating arm-style mechanism attached to the ship’s uppermost deck, the glass-encased gondola can only be described as a blend of the capsules of the London Eye and the glass elevator in the Roald Dahl classic. Holding up to 13 passengers at any one time, the North Star gives unrivaled 360-degree views over the vast ocean, from a 300 meter high vantage point. Royal Caribbean wanted to create a new feature that would simply be irresistible to travelers, and based on the 6.8 million annual visitors to the Eiffel Tower, and the 3.65 million people who ride to the top of the Empire State building each year, it seems that high viewpoints are right on trend. There’s just something about the perceived breathtaking sights that travelers cannot say ‘no’ to. It’s anticipated that the newer ships of the Quantum class will also feature a similar attraction. Outdoor movie screens are becoming quite common on newer cruise ships as more and more cruise companies aim to make use of the great weather, particularly throughout the Mediterranean, Caribbean, and around the Australian coast. However, none are quite as spectacular as the ‘Movies Under the Stars’ screens on many of the Princess Cruises vessels. ‘MUTS’, as it has become known, debuted on the Grand Princess and, with a screen measuring 300 square feet, it is now one of the largest outdoor movie screens in the world. Located poolside for the ultimate in atmospheric impression, the screen shows up to 7 recent Hollywood blockbusters each day, along with sporting events, concerts, and kid’s films. Utilising state-of-the-art technology, the screen can be seen and heard even in brilliant sunlight and against the sounds of the ship’s engines, so you get excellent quality all of the time. 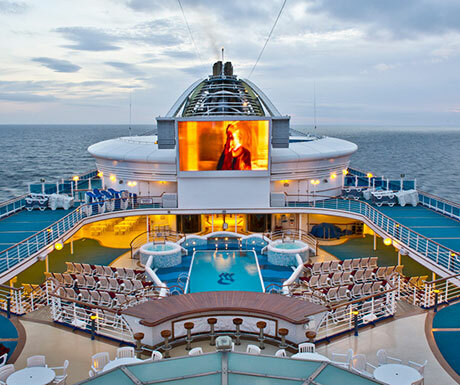 The latest edition to the fleet, Royal Princess, unveiled an even larger screen towering over the open deck space. Balcony cabins are a great choice of accommodation that give you the chance to gaze out over the ocean from your own private space. It’s an especially good option for those taking a romantic cruise, to enjoy the intimacy of watching the ship sail along the water’s surface together. 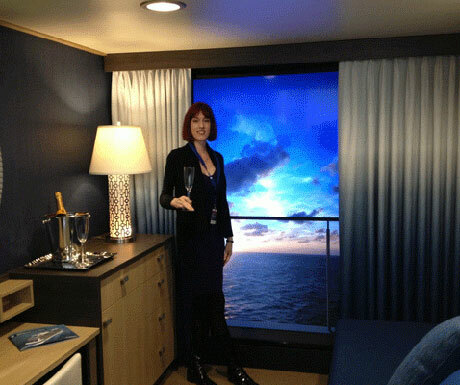 Sadly, balcony cabins don’t always fall within the holiday budget, but all that is about to change. Royal Caribbean’s newest ship, Quantum of the Seas, features 373 ‘virtual balcony’ cabins, which include 80 inch LED screens stretching from floor to ceiling of an indoor cabin. What’s even more impressive is that these virtual balconies display real-time images of the outside, both at sea and in port. You can even turn the screen on and off as you please, so if you’re trying to have a little nap in the day, just switch the screen off for instant sleep-inducing conditions. Virtual balconies are expected to be rolled out on other Quantum class ships, as well as Navigator, Voyager, Adventure, and Explorer of the Seas, and it’s estimated that they will revolutionise cruise accommodations to a point where indoor cabins become the most popular rooms on the ship! Love him or loathe him, Marco Pierre White has become a household name in the UK, and his culinary skills cannot be questioned. Marco lends his name to not one but four different restaurants across a number of P&O vessels with The White Room aboard Ventura considered by many to be one of the finest speciality dining venues at sea. The menu is varied but has a definitive European theme, with French-inspired chicken coq au vin, Italian risotto, and, of course, the obligatory snail side dish. If you’re lucky, you may even catch a glimpse of the man himself, who frequently steps aboard to whip up some mouth-watering cuisine and ensure that standards are being maintained. He’s even been known to offer on-board cookery lessons for children, helping to teach them about good health, good nutrition, and the finest of foods. 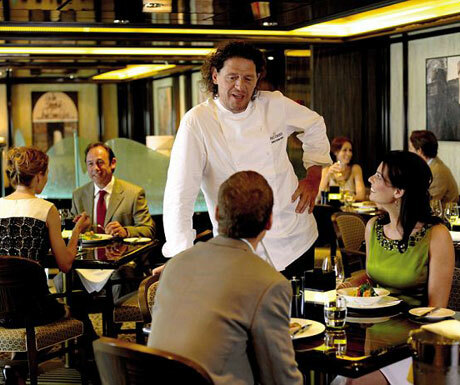 If you’re keen to dine at a celebrity chef restaurant on board, try to reserve a table when you embark, as these restaurants do book up quickly. If you’re traveling in a suite aboard Ventura then you will also have exclusive use of this superb dining venue for breakfast each morning, should you wish. Cruising is evolving to a point where it is almost unrecognisable from the days of the 1920s and 30s when simply a good meal at sea was considered to be an amazing feat. As more and more ships are being designed and constructed, we’re starting to see features, activities, and attractions that were once never mere pipe dreams now becoming spectacular realities. Bumper cars, skydiving simulators and the worlds most talented performance artists are just some of the additional features we can expect to see on ships in the near future. Are you stressed out with all of your responsibilities at home and at the office that it feels like your world is suddenly crushing down on you? How long has it been since you’ve been on the golf course or had a massage at your favorite spa? 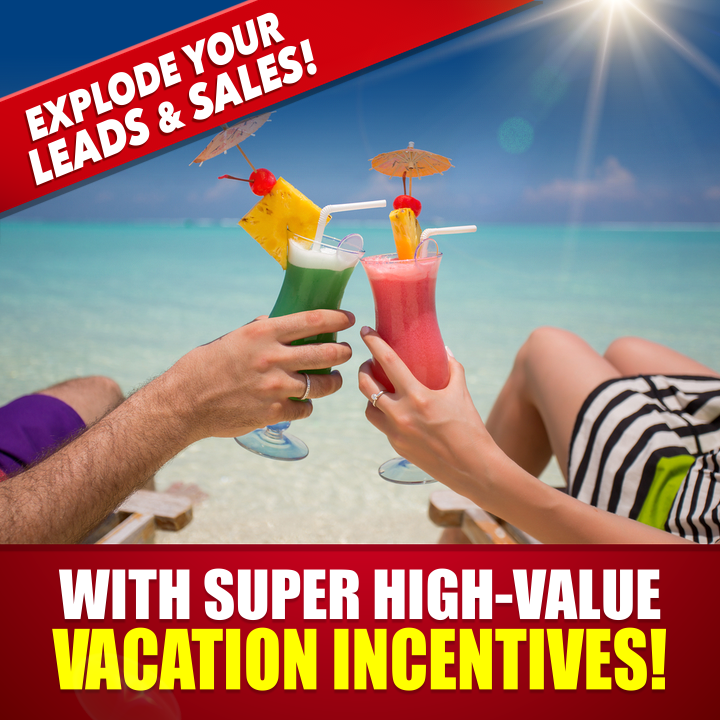 Maybe its time for you to take a leave of absence, grab a day to unwind or take a vacation. And the best part of taking a vacation, is it doesn’t have to break the bank. 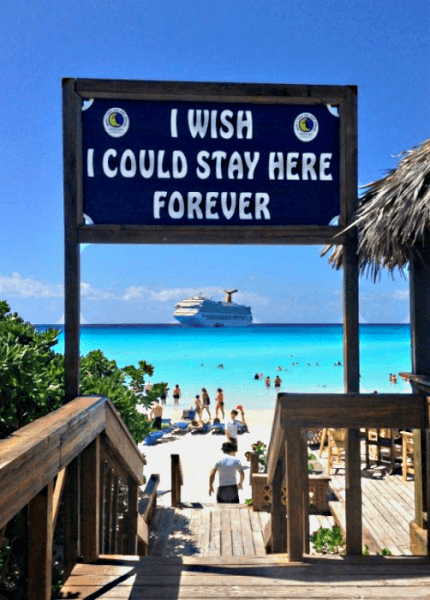 The Coastal Travel Vacation Club membership allows members to take Cruises, Taxes Only Vacations and 7 night resort stays all over the world for pennies on the dollar (literally). Spend a day or so chilling out and save your self from possible illness caused by stressed. Did you know that taking regular vacations can make your life healthier and longer. Close your eyes for a minute and image soft breezes brushing your cheeks and the only music you can hear is the sound of the ocean’s wave crushing on the shore. How about waking up in a comfortable hotel suite with your breakfast already prepared on your bedside table? Maybe you simply stay at home but you get up when you’re done sleeping and going to bed when you’re tired. You find yourself revisiting your hobbies, taking time to read that book you’ve putting off and just relaxing in your casual, around the house lounging clothes. But are you aware that these great ways to chill out could not be enjoyable but also health promoting? Stresses are threats to people’s health that affect the function of the immune system, cardiovascular health, emotional well-being and overall quality of life. Studies have shown vacations can be the ultimate tool to reduce the pressures of everyday life and eliminate stress. It’s been proven that taking vacations could save our lives and brings balance to its personal and financial aspects. There are evidences that vacations could reduce the chances of heart disease and improve overall health. According to experts taking a vacation can reduce the risk of dying from coronary heart disease and can help both men and women, live longer and healthier lives. Based on studies taken, people who take their health seriously should also learn to take vacation time seriously. They should build it into their health regime. Throughout the years of studies, vacations have been proven to delay death for both men and women. Lack of vacation was also discovered to contribute higher chances of heart disease. 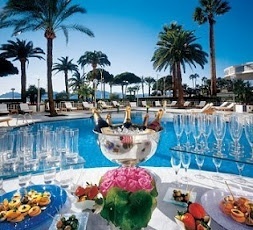 It was also found out that vacations have restorative effects that can lessen stress and prevent burnout. conducted by researchers from the State University of New York in Orsweg on 12,338 middle-aged men who were at risk of heart disease, it was found out that those who did not take regular vacations were more likely to die over a 9 year period than those who did. According to researcher Elaine Eaker, middle-aged women who do not usually take vacations have eight times the risk of either having a heart attack or dying of heart disease. She added that the social and psychological aspects of people’s lives are directly related to their physical health. Everyone can benefit from the positive impact of vacations on health. In a study conducted by the Families and Work Institute in New York, it was discovered that 55 % of workers who didn’t take all their vacation time experienced high levels of feeling overworked. This shows that workers who take vacations frequently are less likely to develop serious heart problems in the future. A vacation could lead to limitless possibilities of fun and physical activity. Involving yourself in sports like skiing, windsurfing, or scuba diving, although it might be tiring, offer many healthy benefits. The important thing in having vacations, regardless how active or inactive it may be, is the state of the mind and body. The mind should be at rest and body should be stress-free. The first step to prevent burnout is to take a leave and break your routine once in a while. By simply planning a vacation, your emotional and psychological aspect is improved. The excitement that it brings stimulates the imagination, and allows you have something to look forward to. It’s your chance to remove your work hat to play, learn, explore and discover. Vacations are one way to have bonding and quality time with family, friends, and loved ones. Vacations also enable you to discover new places which awakens your appreciation of things and people who are usually taken for granted. This makes your return to home more inviting. Good trips many only last a week, but the memories, personal and health benefits that you gain from it have the possibility to last a lifetime. LEAVE ME A COMMENT BELOW! I’D LOVE TO HEAR FROM YOU! 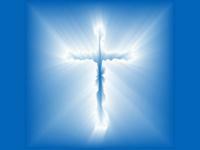 Let’s Go Cruising — Coastal Travel Vacations – Christian Team – Coastal – Freedom at it’s Best! Cruises are like vacations where the scenery keeps changing, but you stay in one place. Cruises are like having your own private food court–only way classier. 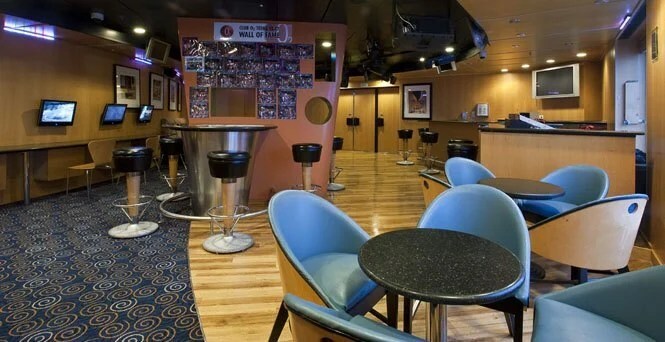 Cruises are like small villages where you and the other passengers and the crew and staff become acquainted and share all the public spaces–restaurants, bars and lounges, showrooms, the pool deck, the casino, the library, the boutique. Cruising is like going on an adventure but having friendly “guides” to help you along the way. Cruising is like looking out at a never-ending horizon or a glimpse of everyday life going on along the shore or riverbank. Cruises are a chance to make your vacation what you want. You’re never really alone, so you feel safe, but you can have as much privacy as you’d like. No one knows you so you can take on a new persona and be the life of the party, shedding inhibitions in a way that you’d never dare in your “real life.” Since there are so many different kinds of cruises and ships, you can find one that fits your desires and expectations and make yourself right at home. One of the best things about cruising is that you only have to unpack once, and, even better, you might have a butler who’ll do the unpacking for you. No more living out of a suitcase and racing from town to town and hotel to hotel. All you have to do is stand on the deck and watch as the captain docks your floating hotel in another port. Then you walk down the gangway into a new adventure. In ports where you don’t want to miss a single thing, you can take a guided excursion in which transportation and plans have been arranged in advance for your pleasure. If a tour is not your thing, you can wander the streets, stopping at cafes and shops–you really learn about a place when you talk to the locals. Or take an active excursion, such as a snorkeling trip or nature hike or a hot-air balloon ride before heading back to your hot shower, gourmet dinner and ballroom dancing on the ship. When your ship is at sea (usually at night to reach the next port), you have a lot more to do than just work on your tan. Most cruise lines (but not all) offer diverse and active children’s programs as well as special events for teens, such as a private disco night or moonlight swim. Between meals–and if you try, you can eat as many as seven times in a day–you can shop in the boutique, gamble in the casino, go to an afternoon tea dance or dance class, get a spa treatment, check out the library, practice your putting or play ping-pong, watch a movie in your stateroom or in the ship’s theater or even, in some cases, with your kids on a giant poolside screen. Increasingly, cruisers want to learn as they travel, so you can attend a lecture or port talk about the upcoming destinations so that your experiences onshore are especially rich and meaningful. In the evening, you and your family can attend a show or dance to the music of a guitarist in a small lounge. Cruising offers one of the best ways to meet some of the most fascinating people in the world. Not only can you meet them in port but also on the ship. The guest list for my recent cocktail party on the Silver Shadow included a Princess from Spain, a former CIA operative who was around for the Bay of Pigs, a German immigrant and teacher for the deaf-turned-dance host on the ship, the star of “Phantom of the Opera” on London’s West Side, and the guy who invented the wind sail. And don’t forget what amazing stories your butler from Sri Lanka or your cabin stewardess from the Philippines can share. Your opportunities for interesting gab-fests are boundless. After sailing on more than 100 cruises, I can honestly say–to paraphrase Will Rogers–I never met a cruise I didn’t like. I travel the world’s oceans and waterways on big, mainstream ships and small, ultra-luxury ships and flat riverboats that move so slow you can ride alongside on a bike. Sometimes the food is to die for; sometimes it’s so-so. Some ships offer large, Broadway-style shows with singers, dancers, musicians and great costumes, while others offer a guitarist or dance group from a local port. In the end, what really affects the quality of your cruise experience is the people–passengers and staff alike. And when you’re lucky, you make lifelong friends you’ll see again on and off the ship. Do You Like Cruises? Coastal Travel Vacations at it’s Best! contests like survivor, belly flop competitions, scavenger hunts, etc. Then there’s trivia, bingo, game shows, karaoke, etc. In addition, whenever you win anything, you gain points for you team. Basically, the ship is divided into three teams: red, white, and blue. If you win, you let them know what team you’re on. The winners also usually get a coveted “ship on a stick” trophies. The food is also great on Carnival. Most ships have a deli, 24-hour pizza station, Chinese station, and a couple more buffet options. Then there is the dining room. Some ships also have supper clubs, which serve food made-to-order using finer ingredients than in the dining room. There is usually live piano music, and a limited number of guests, so the environment is much more intimate. Everyday you’ll get the newsletter, the Carnival Capers, which explains everything above, and provides a rip-out list of the day’s activities. There’s a whole lot more to know! The best way to learn it all is to just go on a cruise and experience it for yourself. Coastal Travel Vacations offers 3 different Travel memberships. 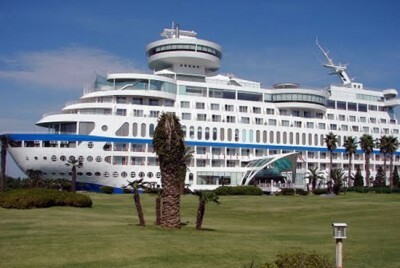 With the Basic package you are given 6 Complimentary Cruises. With the Premier package you are given an unlimited amount of complimentary cruises. With these cruises, you are only responsible for taxes and port fees. To Learn More, visit our Website today by Clicking Here! !